Lisa joined the D & D team in May 2007 as the Office Manager and has since progressed to including Human Resource and Education Manager responsibilities to her profile. Prior to joining D&D, she was directly involved in the elevator industry, working with elevator vendors. She holds an Associates’ Degree in Business and has a diverse work background, and, in addition to her elevator industry experience, has held various secretarial and customer service positions in the insurance and door mill industry. As Office Manager, Lisa assists the three owners of the company, issues certificates of insurance to building owners and managers, manages all areas of business and medical insurance, administrates 401 K plans, and, as a Notary Public assists the Code Compliance Manager for the NYC Department of Buildings. When needed, she serves as backup to the dispatcher, answering customer calls and dispatching them to the mechanics. 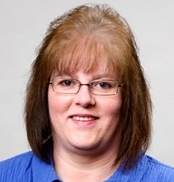 As the HR Administrator, Lisa on a daily basis handles the needs of all D&D employees, maintains all employee records, and, with the guidance of Robert Schaeffer, oversees the Policy and Procedures manual and the job descriptions for the employees. As Education Manager, Lisa maintains all the paperwork and orders all the education materials for the Candidates (both the mechanics and helpers) involved in the Certified Elevator Technician program in accordance with the National Association of Elevator Contractors. In order to meet compliance with the New York State Department of Labor, she maintains all the paperwork for the apprentices. On a weekly basis, she issues a safety review to all the mechanics. Says Lisa, “I particularly enjoy the diverse variety of work that I do at D&D!"